He read off examples of Facebook suppressing conservative speech, starting with former Facebook employees admitting to suppressing conservative news in May of 2016. Cruz brought up Facebook shutting down a Chick-fil-A appreciation page and most recently censoring Trump supporters Diamond and Silk. He said that it was a "fair concern." Cruz then interrupted to ask if any pages from Planned Parenthood, Moveon.org, or Democratic candidates, had been taken down by Facebook. Zuckerberg replied that he was "not specifically aware" of any of those pages being censored. Cruz asked if Zuckerberg was aware of the political orientations of the 15,000 to 20,000 people Facebook has working on security and content review. 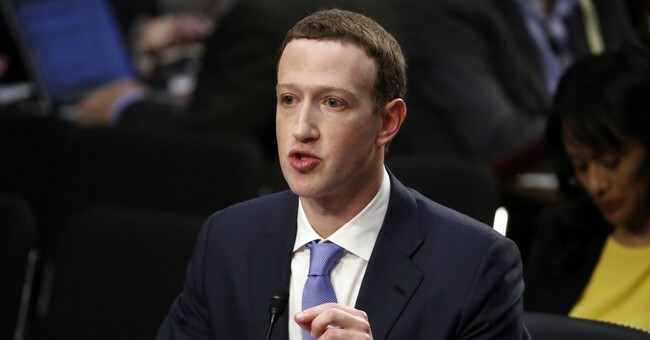 "No, Senator, we do not generally ask people about their political orientation when they are joining the company," Zuckerberg said. Zuckerberg concluded his exchange with Cruz by insisting that Facebook is committed to a free exchange of ideas. "I am very committed to making sure that Facebook is a platform for all ideas," he insisted. "That is a very important founding principle of what we do. We're proud of the discourse and the different ideas that people can share on the service. And that is something that, as long as I'm running the company, I'm going to be committed to making sure is the case."